Cloaking Device. 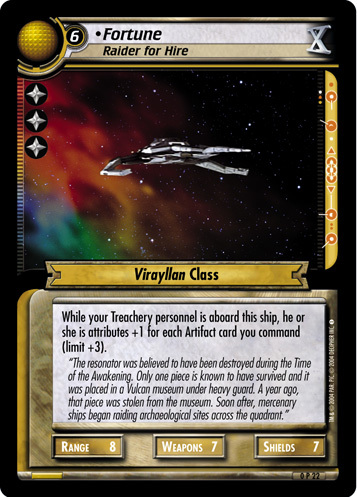 When you win an engagement involving this ship, you may examine the loser's hand and choose a card to be removed from the game. 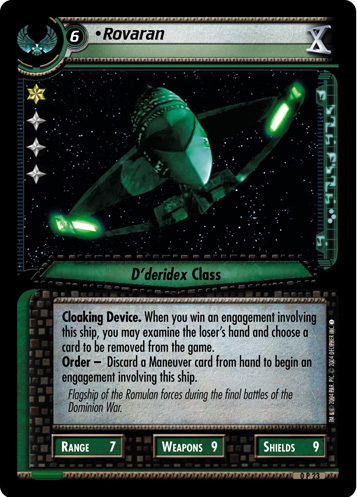 Order - Discard a Maneuver card from hand to begin an engagement involving this ship. 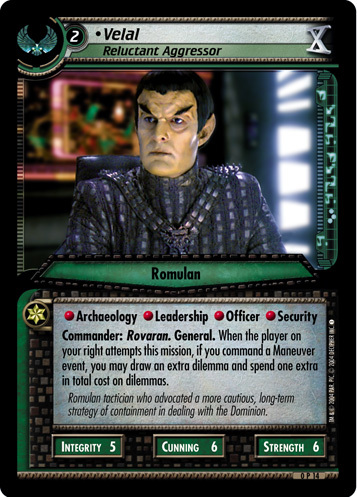 Flagship of the Romulan forces during the final battles of the Dominion War.